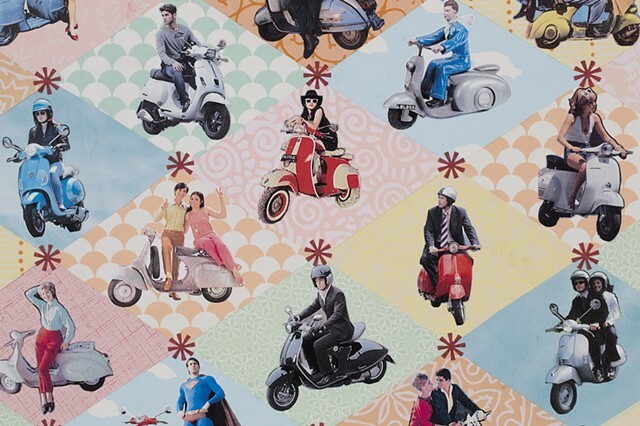 Vespas and other Italian scooters are so colorful, cool, and . . . well, Continental. Think “Roman Holiday,” included in this collage. Also look for Superman and the Pope with their scooters.